Wills Lifestyle, the award-winning Indian retail apparel brand, has been granted the OEKO-TEX® Standard 100 certification for its men's and women's apparel collections. The OEKO-TEX® certification was conferred by Hohenstein Institute who conducted all the necessary testing to ensure that Wills Lifestyle's knit and woven textile products are free from more than 300 substances that can be dangerous to human health, including chemicals of concern such as lead, formaldehyde, carcinogenic dyestuffs, heavy metals, and pesticides. "Wills Lifestyle provides fashionable, quality clothing for every aspect of a premium consumer's lifestyle," says Atul Chand, Divisional Chief Executive, ITC Lifestyle Retailing. "Our OEKO-TEX® certification is a reassurance that our brand meets the high human ecology standards our consumers deserve. In addition, we are contributing to a safer textile industry in our country." Wills Lifestyle apparel and accessories are sold in 78 specialty stores in 37 cities across India. The stores provide an international shopping experience and are located in retail locations and ITC Hotels. The apparel collections include Wills Signature, Wills Clublife, Wills Sport, and Wills Classic. Wills Lifestyle is part of ITC-LRBD, one of India's most respected corporations. "With Wills Lifestyle's OEKO-TEX® certification, ITC is further expanding the scope and impact of its textile quality initiatives," says Prof. Dr. Stefan Mecheels, Director of the Hohenstein Institute. "When textile products are safe for consumers, the result is a safer supply chain that positively affects the people who manufacture those textile products and their many components." 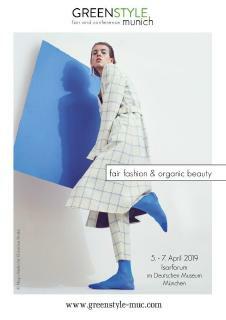 "ITC is to be commended for its exemplary work in producing fashionable and safe textile products," says Dr. Jean-Pierre Haug, General Secretary of the International OEKO-TEX® Association, who oversees OEKO-TEX® global textile certifications. "Independent, third-party certifications like the OEKO-TEX® Standard 100 are objective, reliable instruments that provide transparency and consistency, both of which are distinguishing factors in ITC's award-winning programs." The Wills Lifestyle website is www.WillsLifestyle.com. 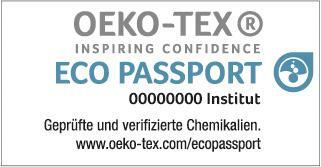 For more information about OEKO-TEX® global textile safety certifications, visit www.OEKO-TEX.com. The global Hohenstein Institute website is www.Hohenstein.com. ITC's Wills Lifestyle has been established as a vibrant fashion brand for the premium consumer. Wills Lifestyle offers a complete lifestyle wardrobe for the premium consumer, incorporating the latest fashion trends for both men and women. A nationwide chain of exclusive specialty stores provides the Indian consumer a truly 'International Shopping Experience'. Currently there are 78 Wills Lifestyle stores in 37 cities across the country, and the brand is making rapid strides in terms of expansion. For details visit www.willslifestyle.com. 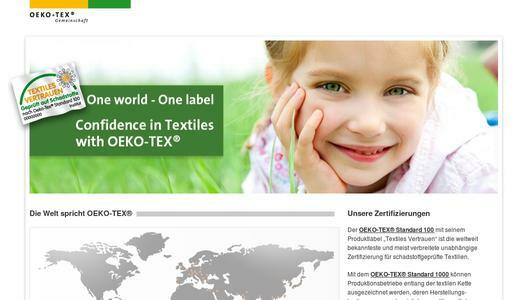 Celebrating its 20th Anniversary this year, the International OEKO-TEX® Association, headquartered in Zurich, Switzerland, was founded by the ÖTI (Austrian Textile Research Institute) and the German Hohenstein Institute. Currently, its membership includes 15 independent textile research and testing institutes with 65 offices in 60 countries. To date, more than 100,000 OEKO-TEX® Standard 100 certificates have been issued-with more than 10,000 issued per year-and 9,500 companies in 90 countries are working with OEKO-TEX® to ensure that their products are tested for potentially harmful substances. For more information, visit the website at www.OEKO-TEX.com.